la vida lotto: Get Your Hands on the Luxury Watch Phone! Get Your Hands on the Luxury Watch Phone! James Bond, eat your heart out! Here's a new gadget that will tickle the fancy of any 007 fanatic. 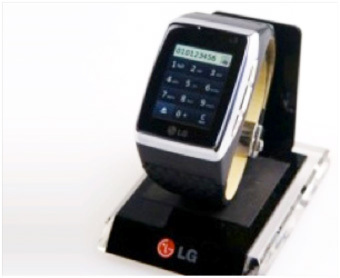 Now, LG have come up with a new type of cellphone that not only combines functionality with sleek design, but is perfect to wear on your wrist! LG refer to this elegant item as a Communications Chronometer and is a clean and stylish gadget that is very much associated with everyone's favorite secret agent, 007 James Bond.